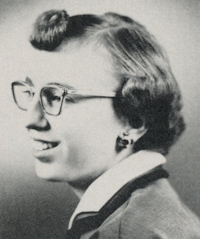 Obituary – Leaming, Emily Jo (Wagner) « Perry High School Alumni Association, Inc.
Library 52-53, Sophomore Assembly 52-53, Annual Staff 52-53, Glee Club 52-53. Funeral services for Emily J. Leaming, age 65, were at 10:30 a.m. Monday, October 14, at the First Christian Church, Pond Creek. OK. The Rev. Sherry Shaw officiated. Burial was at 3 p.m. in St. Rose of Lima Catholic Cemetery, Perry, OK. Arrangements were by Wilson Funeral Home, Pond Creek. Emily was born April 2, 1937, in Perry, OK, to Emil Edmond and Mary Frances (Blatt) Wagner and went to be with the Lord October 10, 2002. 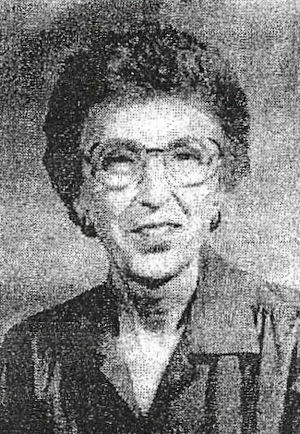 She died in St. Mary’s Regional Medical Center, Enid, OK.
She grew up on a farm in Perry and attended St. Joseph’s Catholic School, White Country School and graduated from Perry High School in 1955. Emily married Cecil D. Leaming on June 4, 1965, in Liberal, KS. She worked for Ideal Food Stores, First National Bank, and Southlawn Middle School as Asst. Librarian in Liberal, KS. After Cecil’s retirement from Panhandle Eastern Pipeline Co., they moved to Pond Creek to be closer to family. Emily also worked for the Pond Creek-Hunter School System as Asst. Librarian. Emily and Cecil were active leaders in the 4-H Program while living in Liberal. She loved growing flowers, gardening, embroidery and making quilts. She was a member of the First Christian Church and served on the Local Outreach Ministry and set up the church library. She is survived by her husband Cecil of the home, son Christopher Todd and his wife Dr. Christine Barber-Leaming, Arroyo Grand, CA; five sisters Virginia (Mrs. Jack Slay), Esther Smith-Cawood, Geraldinc Gilbreath, all of Perry. OK, Jean Ann (Mrs. Joe Glaser) of Ponca City, OK, and Dolly (Mrs. Jim Kent) of Pond Creek, OK; three brothers, Raymond Wagner of Perry, OK, Bill Wagner of Wichita,. KS. and Marvin Wagner of Oklahoma City, OK.
She was preceded in death by her parents, grandparents, two infant brothers and brother, Gerald Wagner. Memorials may be made to Pond Creek-Hunter School Library for new books in lieu of flowers.